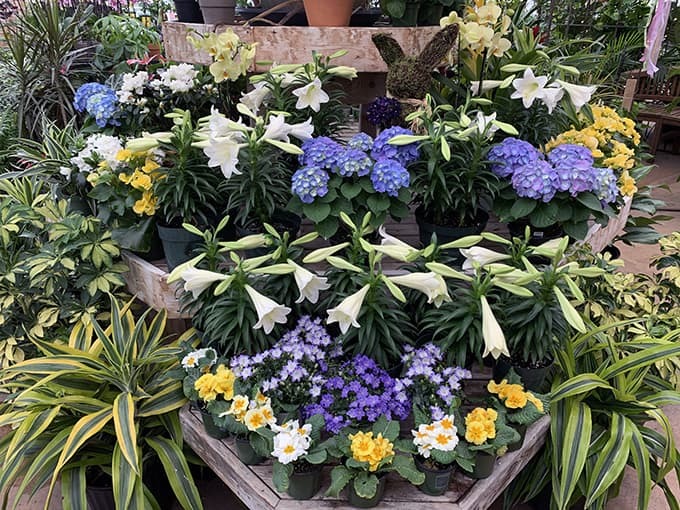 Spring flowers lift our spirits in a time of year that's often gray, and many wonder if they can plant their Easter or Passover gift plant outside. 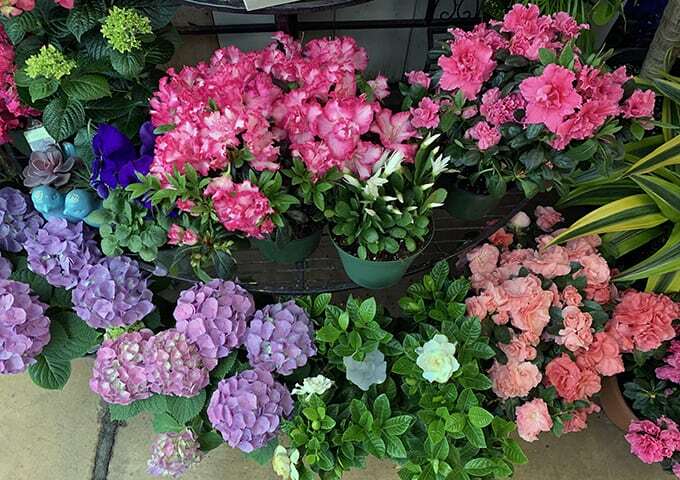 Type of Plant Hydrangeas, Azaleas, Lilies, Campanula and other lovely plants in full flower. Why I Love/Hate this plant: These lift our hearts in the spring. They need no other purpose, although those who want to save their plants until the weather is warm enough, and plant them outside, are of course welcome to do so! A Word to the Wise: To keep your plants in good shape until it’s time to plant outside, check them every day to see if the soil is getting dry. Hydrangeas in particular need frequent watering. Depending on the variety and where in the country you live, these plants might be hardy or not. Note: if you live in a Cold Zone 6 or the zones below, plant your hydrangea in a pot and bring it into an unheated garage for the winter. Once the night time temperatures in your area are reliably above 50 degrees you can plant these outside. In the meantime if the day time temps are above 55 put the plants out during the day and in at night. Easter lilies can be planted outside in early May in most parts of the country. Be sure that the bulb is buried about 6 inches down, which will be deeper than it was in the pot. Primroses (in the front) might come back a second year when planted outdoors, or they might not…but what have you got to lose by trying?